What terms must be included in a lease option to purchase to ensure enforceability? If a tenant exercises an option to purchase, when does the lease and related obligation to pay rent cease? A recent Court of Appeal case, Petrolink, Inc. v. Lantel Enterprises, decided just these issues. (21 Cal.App.5th 375 (2018)). In Petrolink, the Court of Appeal held that once a tenant exercises its option to purchase under a lease agreement, the lease terminates, the tenant becomes a vendee under a purchase contract and tenant’s obligation to pay rent under the lease ceases. Further, the Court found it permissible to set the purchase price of the property as the “fair market value”, as determined by an appraiser, rather than a set price. The Court may insert its definition of “fair market value” if the parties are unable to resolve on a purchase price and the standard is definitive enough to render the option enforceable. A lease for commercial property in San Bernardino County between Petrolink, as tenant, and Lantel, as landlord, included an option to purchase the property at “fair market value” based on an appraisal. Petrolink exercised its option to purchase but each party’s appraiser’s valuation was materially different and they could not agree on a price. The parties sued each other for various causes of action. During the pendency of the litigation, Petrolink continued to pay rent. The trial court held that Petrolink had exercised its option and that Lantel was obligated to sell the property to Petrolink at the Court’s determination of “fair market value”. The trial court denied Petrolink’s request to offset against the purchase price the rental amounts paid since exercising the option and Petrolink appealed. 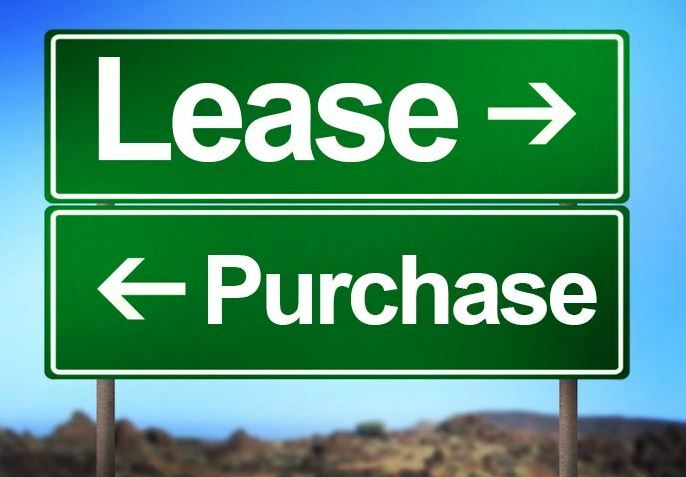 Where an option to purchase exists in a lease agreement, the exercise of the option to purchase causes the lease to terminate. The lease is then replaced with a binding contract of purchase and sale. Since the lease is terminated, the obligation to pay rent also ends at such time unless there is express language in the lease that requires continued rental payments. The trial court held that the purchase and sale contract was not enforceable unless and until the Court fixed the “fair market value”. As such, the lease did not terminate, and rents remained due, until such “fair market value” was set. However, the Court of Appeal held that the lease ceased to exist as of the date of exercise by Petrolink even though the purchase price still needed to be determined – the key date being the date of exercise, not the date all terms were confirmed. The Court of Appeal did not ignore Lantel’s hardships during litigation. It held that Lantel, as the seller and landlord, did lose its use of the purchase money during the time between the exercise of option by Petrolink and performance and close of purchase. As such, the Court held that Lantel was also entitled to some compensation to account for the delay of purchase. The Court of Appeal did uphold the trial court’s finding that the option to purchase was enforceable even though the purchase option did not specify an exact price. An option is transformed into a purchase and sale when there is an unconditional, unqualified acceptance by the optionee of the offer in harmony with the terms of the option and within the time span of the option contract. Typically, an option must set all material terms – especially price – to be enforceable. In Petrolink the Courts found that “fair market value” at the time of exercise was a standard which could be objectively determined, even if the exact number was not pre-determined in the lease itself. In Petrolink we understand more about how courts may treat options to purchase in leases – specifically what material terms may be required and the timing of lease termination. Lease and option language should be drafted carefully to ensure the parties are comfortable with the financial impacts of the exercise of an option to purchase and to avoid any unintended consequences. The issues discussed in this update are not intended to be legal advice and no attorney-client relationship is established with the recipient. Readers should consult with legal counsel before relying on any of the information contained herein. Reuben, Junius & Rose, LLP is a full-service real estate law firm. We specialize in land use, development, and entitlement law. We also provide a wide range of transactional services, including leasing, acquisitions and sales, formation of limited liability companies and other entities, lending/workout assistance, subdivision, and condominium work.